Sign up for the latest and most reliable research-based information in the areas of lawn and garden, natural resources, agriculture, marine science, family and consumer science, and 4-H youth development. 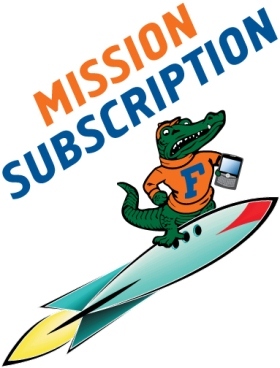 University of Florida/IFAS Extension is a partnership between state, federal, and county governments to provide scientific knowledge and expertise to the public. To strengthen our relationship with clientele, the UF/IFAS Subscription Management System has been created to improve the delivery of information to our Extension clientele. The system allows Extension clients to subscribe to newsletters, articles, publications and notifications of upcoming events.